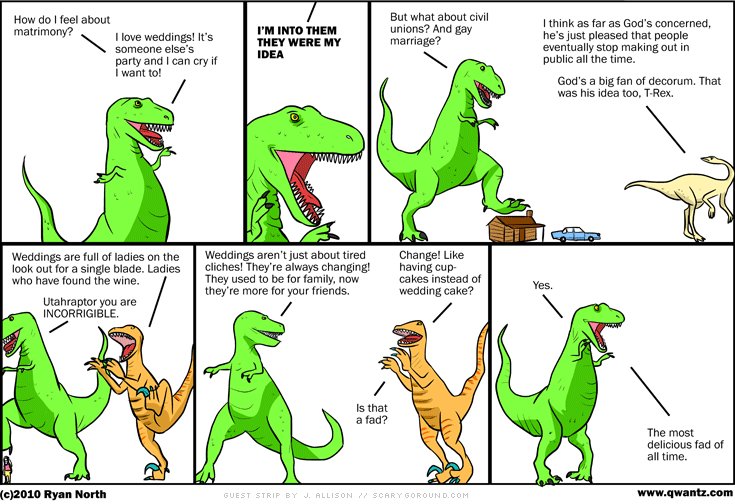 Dinosaur Comics - August 5th, 2010 - awesome fun times! –Time to take matters into my own hands! guest comic by john allison of bad machinery! August 5th, 2010: To give me a few days off to prepare for my wedding, some pals gave me some comics! John Allison and I both share a birthday AND a taste for fancy chapeaus, so we get along really well. You should read his comic, the latest page is here!